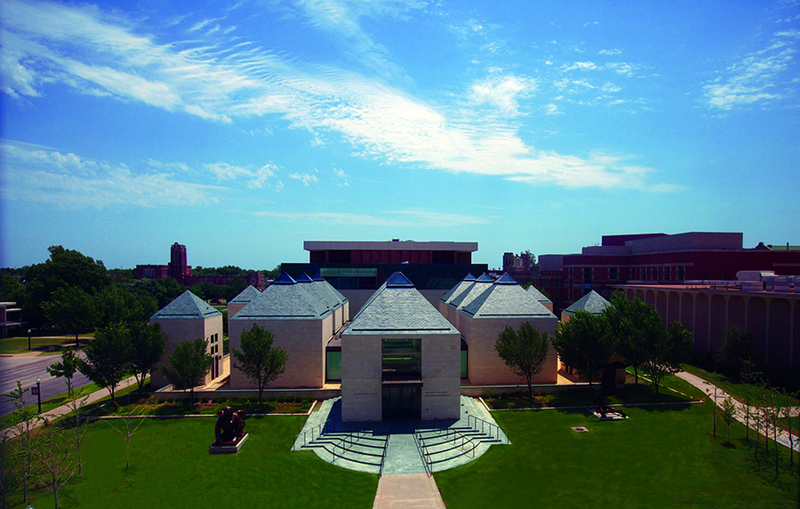 The University of Oklahoma’s Fred Jones Jr. Museum of Art is one of the finest university art museums in the United States. Strengths of the nearly 16,000-object permanent collection (including the approx. 3,300-object Adkins Collection and the more than 4,000-object James T. Bialac Native American Art Collection) are French Impressionism, 20th-century American painting and sculpture, traditional and contemporary Native American art, art of the Southwest, ceramics, photography, contemporary art, Asian art and graphics from the 16th century to the present. 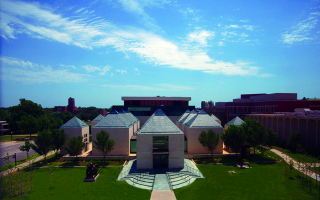 The University of Oklahoma's Fred Jones Jr. Museum of Art is widely regarded as one of the finest university art museums in the United States. The museum's growing collection features nearly 17,000-objects. Highlights include the Weitzenhoffer Collection of French Impressionism, the Eugene B. Adkins Collection of art of the American Southwest and Native American art, the James T. Bialac Native American Art Collection, 20th century American painting and sculpture, ceramics, photography, contemporary art, Asian art, and works on paper from the 16th century to the present. Throughout the year, temporary exhibitions examine the art of various periods and cultures. To house its many growing collections, the museum expanded in 2005 with the Lester Wing and in 2011 with the Stuart Wing. The current exhibition space measures approximately 40,000 square feet. The museum's extraordinary collection includes major works by some of the most beloved artists of all time, such as Ansel Adams, Romare Bearden, John Singleton Copley, Stuart Davis, Edgar Degas, Paul Gauguin, Edward Hopper, early Kiowa artists, Maria Martinez, Claude Monet, Georgia O'Keeffe, Ben Shahn, Vincent van Gogh, Edward Weston, and Oklahoma natives Olinka Hrdy, Allan Houser, and Leon Polk Smith. Admission is complimentary, thanks to the generous support of the Office of the President and the University of Oklahoma Athletics Department. Visit the museum's website for hours of operation, temporary exhibitions, and other museum information.